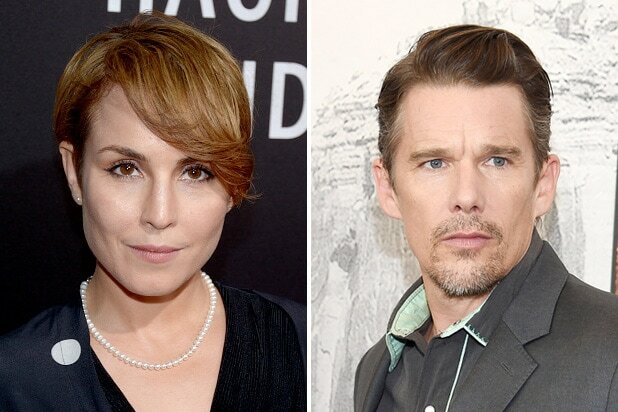 Ethan Hawke and Noomi Rapace will star in Sierra/Affinity’s true-story thriller “Stockholm,” the studio announced Friday. Directed by Robert Budreau and based on Daniel Lang’s famous New Yorker article, “The Bank Drama,” the film will retell the story of the 1973 bank heist in which the hostages bonded with the robbers holding them captive and eventually turned against authorities. The incident drew worldwide interest and gave rise to the well known psychological condition known as Stockholm Syndrome. There’s no word yet on who Hawke and Rapace will play in the film, but Sierra/Affinity says that they hope to sell it at the European Film Market in Berlin next month. Filming is set to begin in April. Scott Aversano and Will Russell-Shapiro will executive produce and oversee production via the Aversano Films banner along with Jason Blum via Blumhouse Productions. Nicholas Tabarrok will produce via his Darius Films banner, with Budreau via Lumanity, and Jonathan Bronfman via JoBro Productions William Santor, John Hills and Andrew Chang-Sang are also executive producing for Productivity Media. Hawke is represented by CAA and MGMT Entertainment. Rapace is represented by CAA and Magnolia Entertainment.